Lionel is a sweet fluff of a kitten. He is nervous with new people, in part because his original family threw him away, but he's getting better every day! He gets along well with other cats, and is unruffled by respectful dogs. He does better with older children than younger, (he much prefers the 11-13 year olds he's fostered with now over the toddler he started with) and will sleep in bed with his person. He's very playful, and loves to be up high. He's a canopy cat; always seeking the highest vantage point to assess the world through. 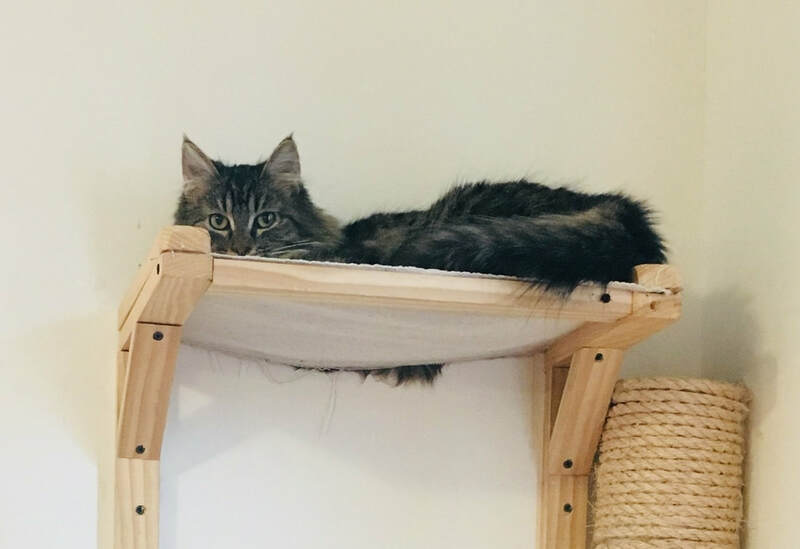 If you're looking for a very fluffy friend to share your life with, Lionel is the one for you.